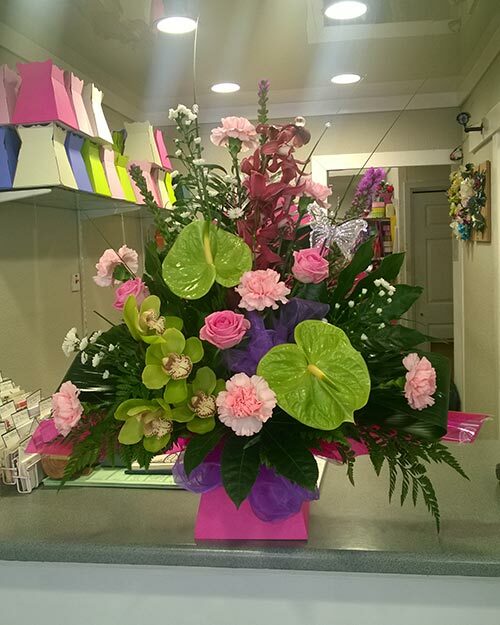 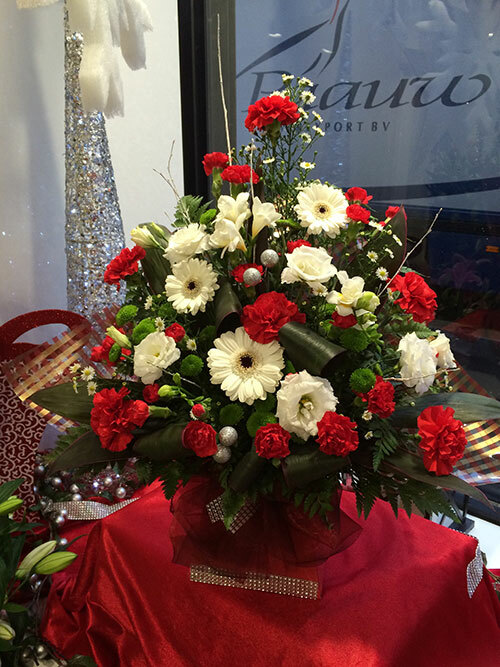 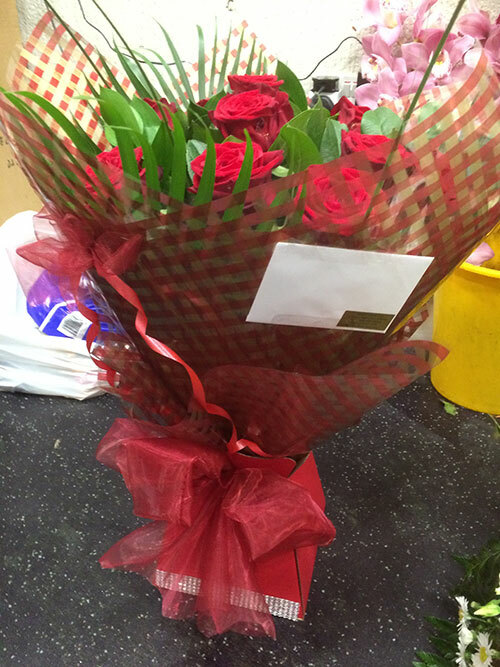 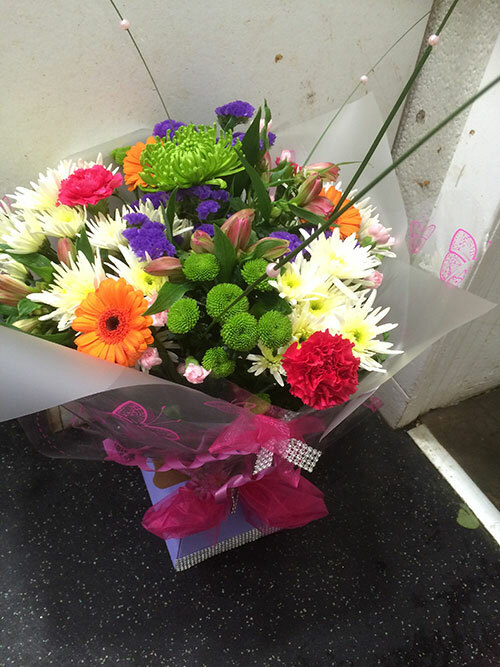 Our hand tied and front facing box arrangements are the perfect gift. 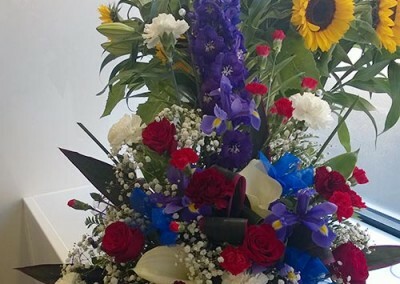 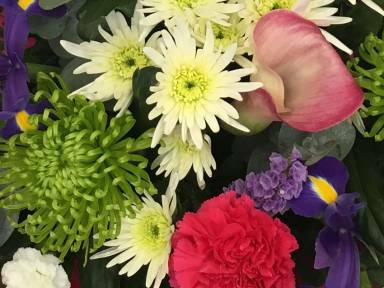 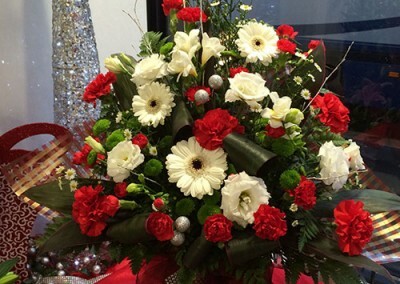 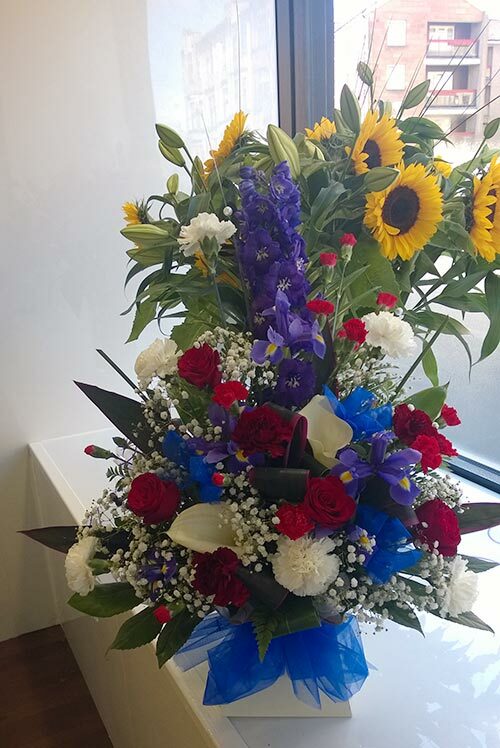 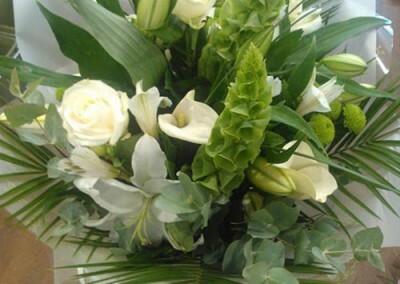 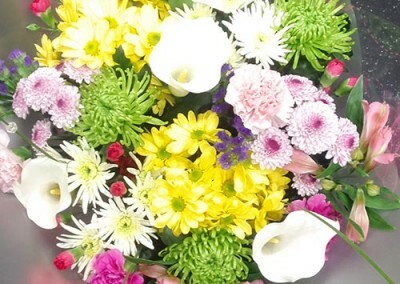 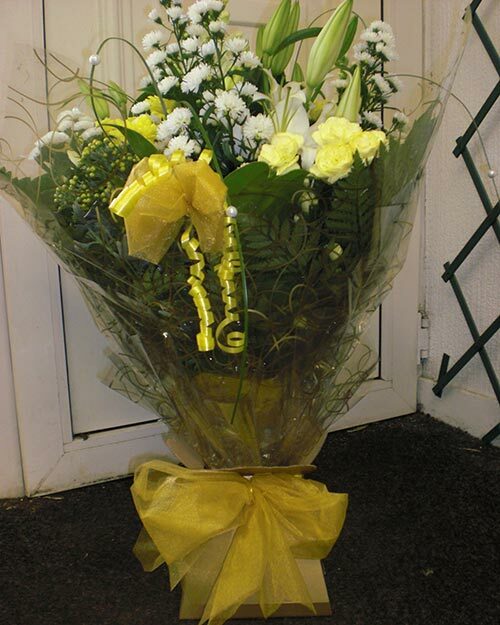 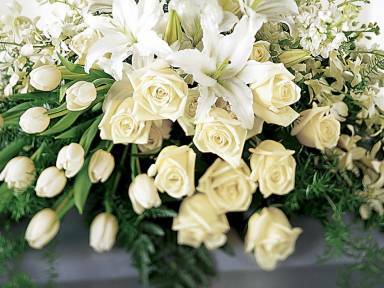 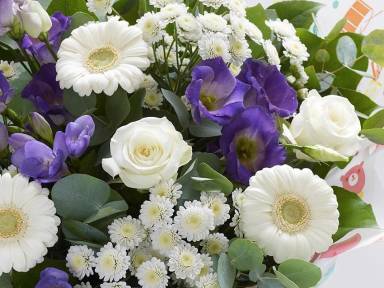 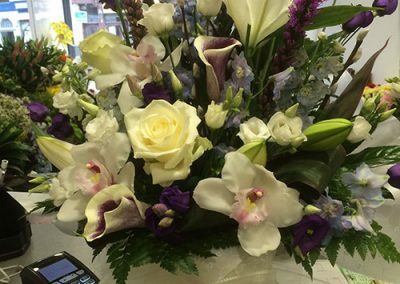 These arrangements require minimal care and are available in a variety of colours to express the occasion. 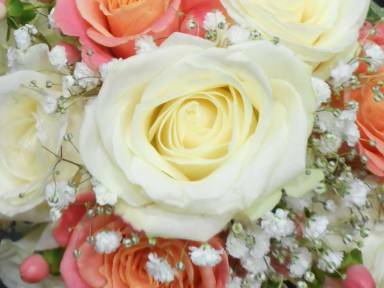 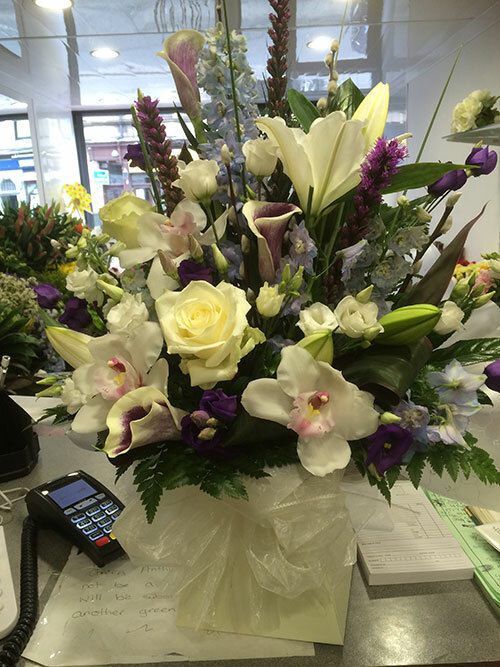 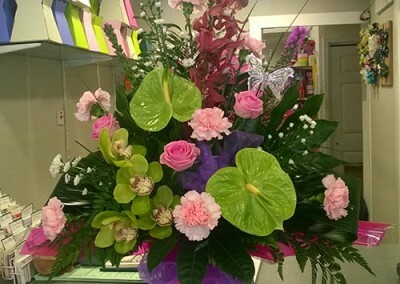 Our expert staff know which flowers compliment each other. 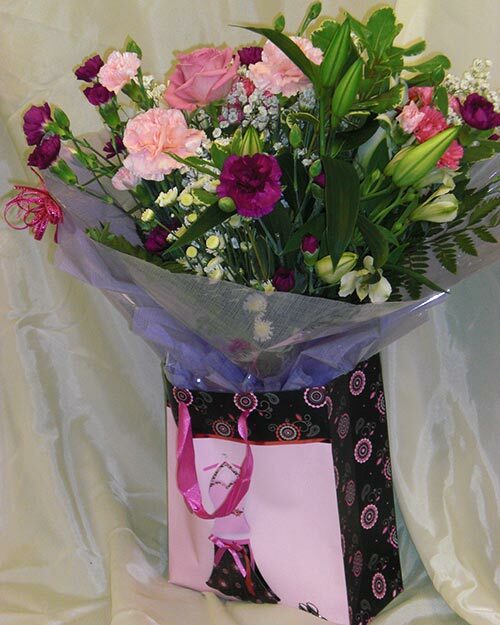 Basket and vase arrangements are also popular. 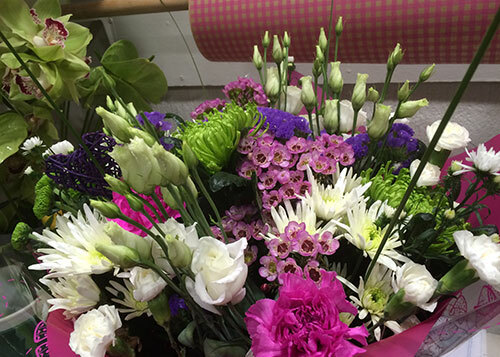 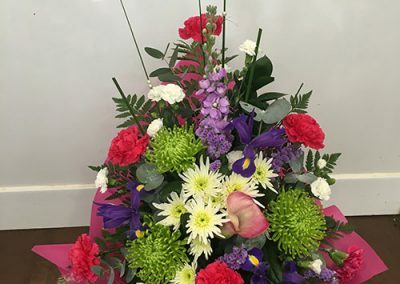 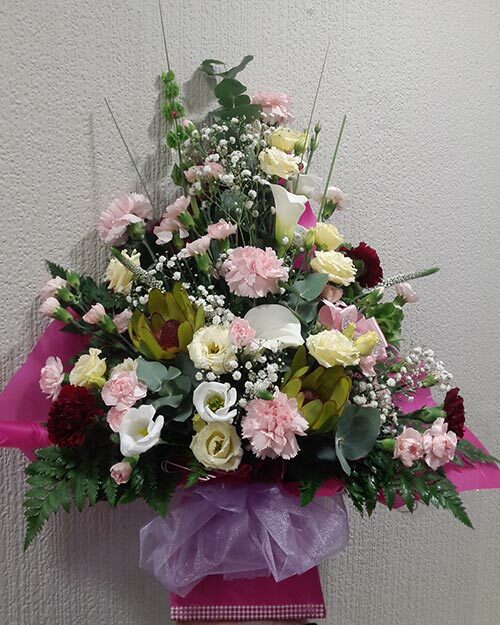 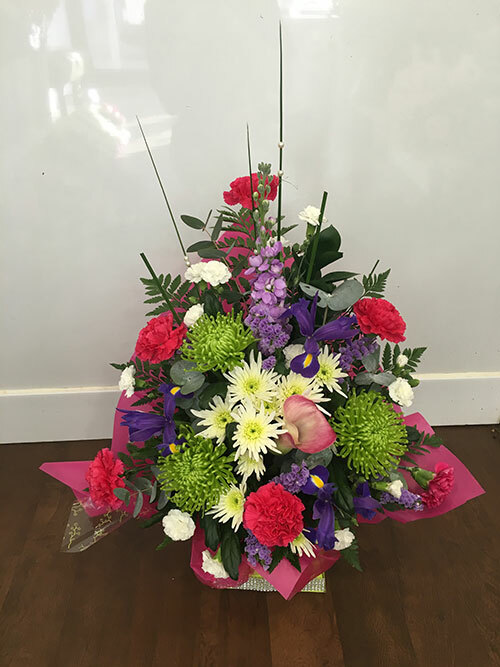 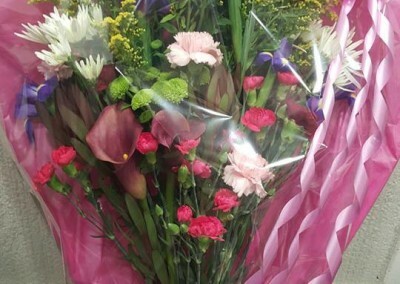 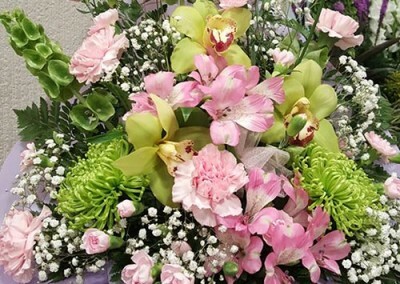 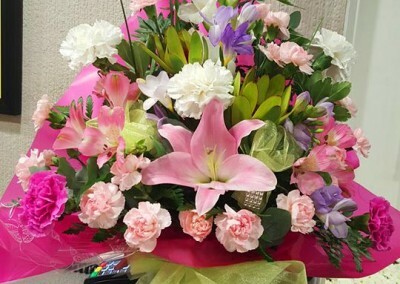 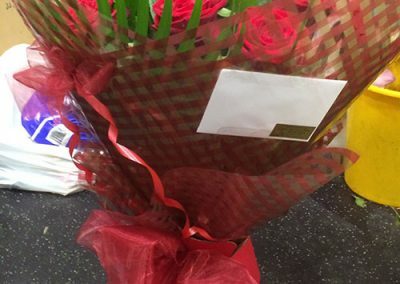 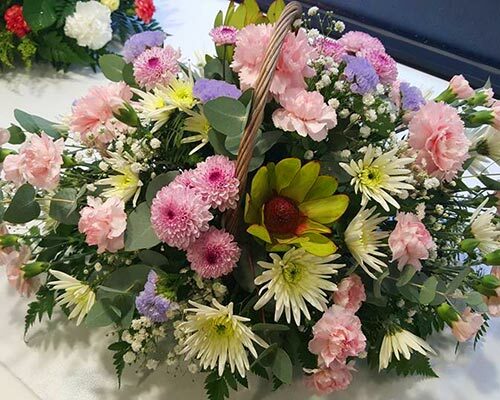 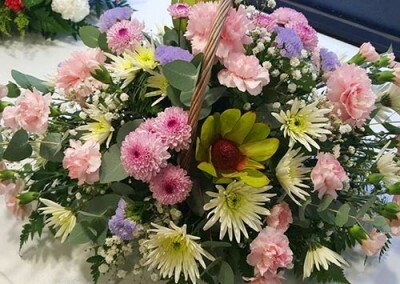 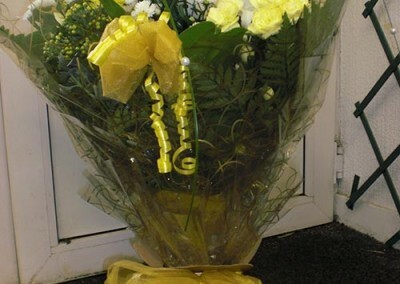 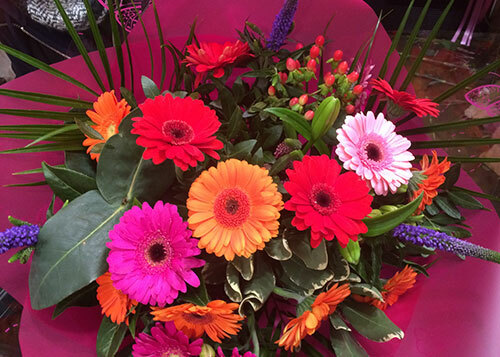 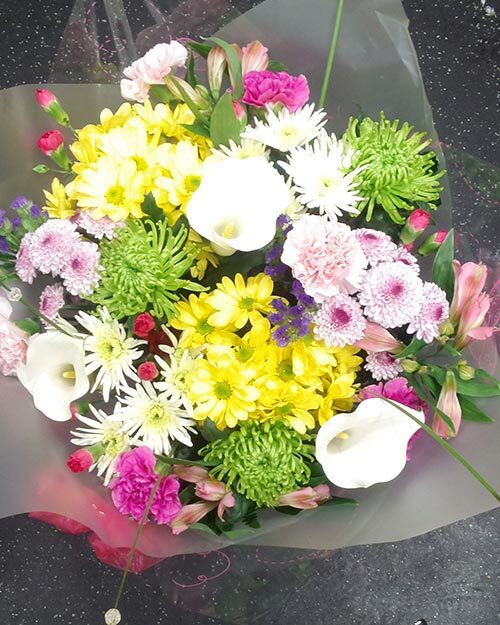 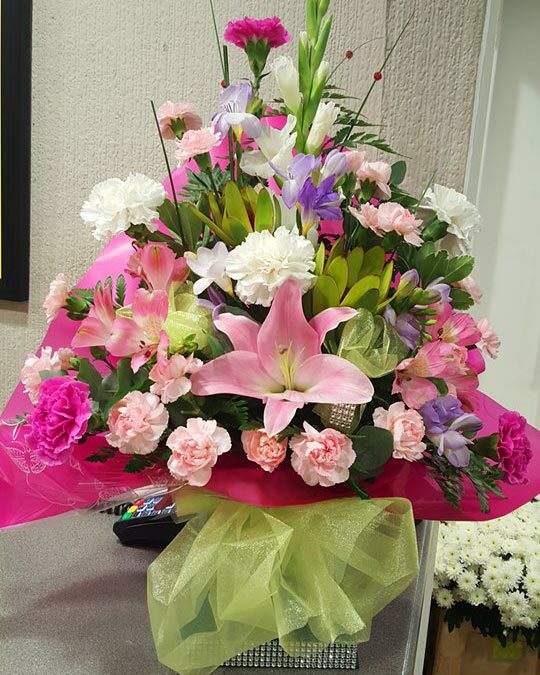 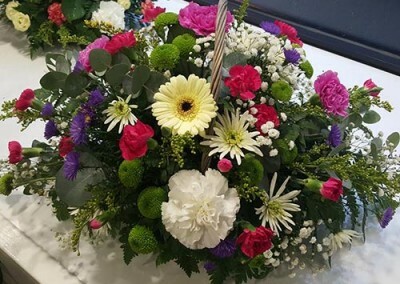 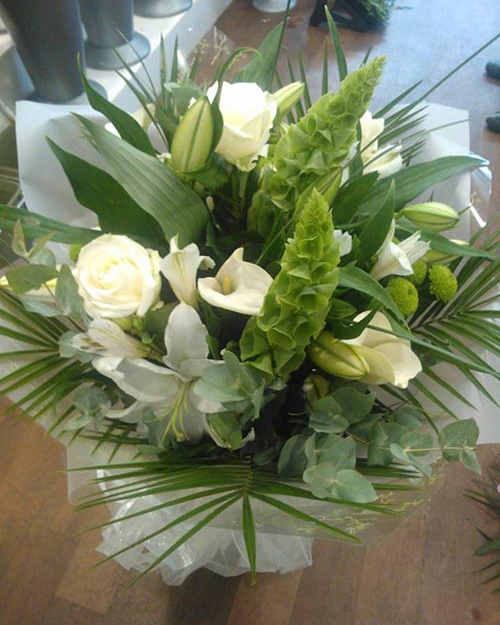 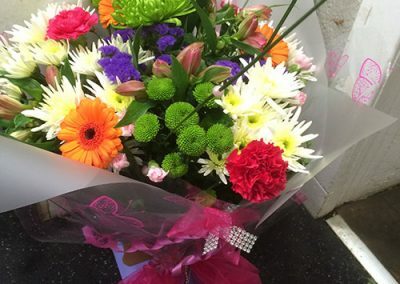 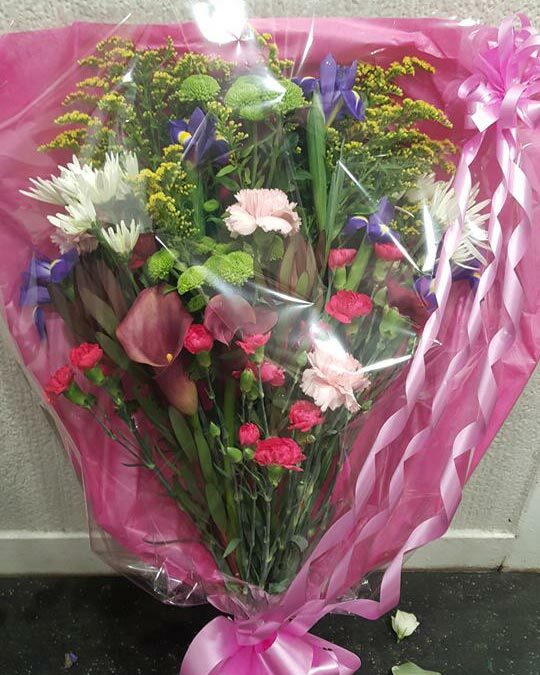 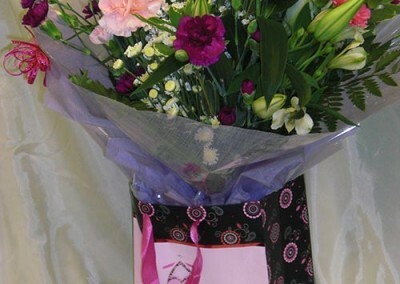 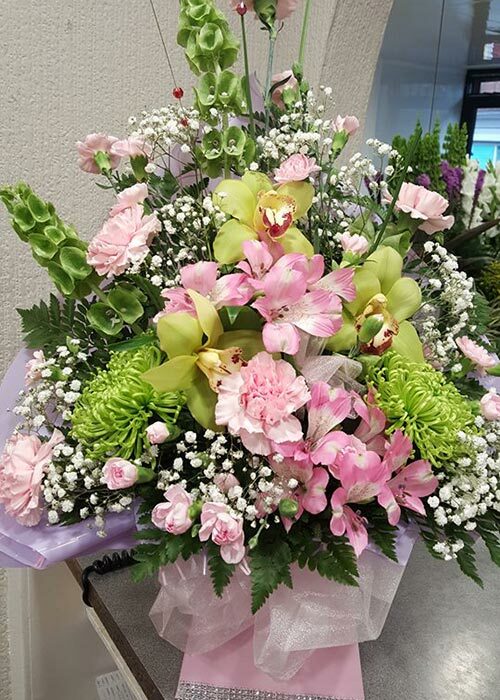 If you prefer to have your flowers gift wrapped in a presentation bouquet, the recipient will then have the option to arrange them themselves. 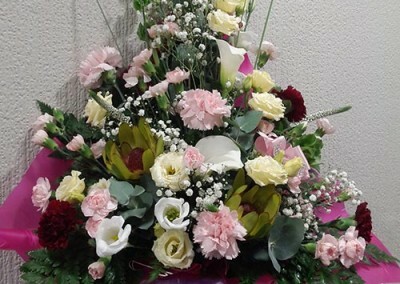 Table arrangements and centerpieces to complement the specific occasion can also be made and delivered.